Being situated on the south part of the Adriatic coastline, Dubrovnik is a typical example of the mild Mediterranean climate. Winters are mild while summers are long lasting, hot and humid. It is therefore best to visit Dubrovnik during the spring or even better, in the summer. The air in that period is bathed in the lush scent of the aromatic herbs, evergreen trees and citrus fruits and the sea is inviting you to try out its refreshing and soothing depths. 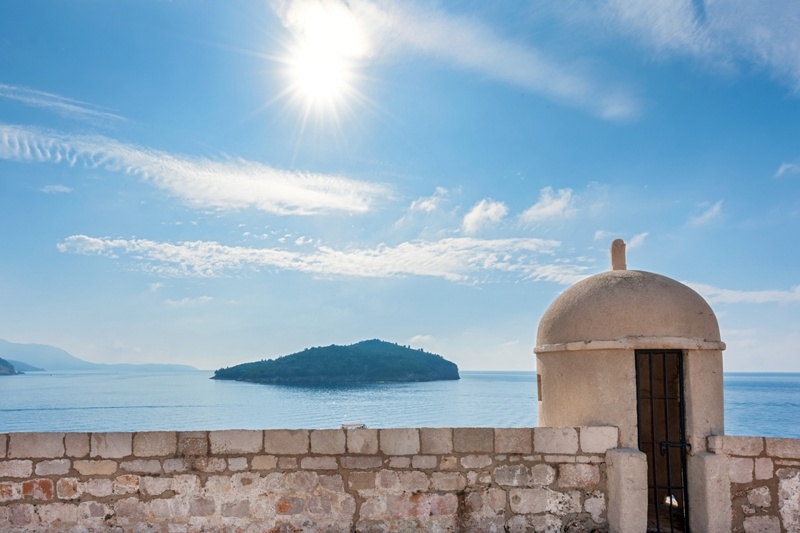 In the warmer period, Dubrovnik is bathed in the sun from dawn to dusk, with rare cloudy days and temporary summer showers. There are over 250 sunny days throughout the year and the average annual air temperature is 17°C. August is the hottest month of the year, with the average air temperature of 26°C, but it can get much hotter than that. It is therefore essential to seek out refreshment in the sea. Its average temperature is always around 21°C ensuring the pleasant relief from the daytime swelter. Thanks to such pleasant climate, bathing season usually starts already in April and lasts until the late September, often even longer. Maestral is a pleasant breeze that often blows along the coastline in the summer afternoons announcing fine weather and bringing the most welcomed sea-scented refreshment. Although spring and summer period is the time when most of the tourists prefer to visit Dubrovnik, it can be a pleasant tourist destination throughout the whole year thanks to its mild winters. Autumn starts rather late in Dubrovnik, characterized with cloudy and rainy weather. November is usually the rainiest month of the year with the average precipitation of 241,9 mm. Winter months bring more rain and wind, but the air temperature rarely drops below zero. January is the coldest month of the year with the average temperature of 9°C. Bura and Jugo, characteristic Dalmatian winds, blow mostly in the colder part of the year. Although they can be somewhat unpleasant due to their intensity, it is also interesting to experience those weather manifestations of the all-present, feisty Dalmatian temperament.